SYNOPSIS: Roland is a haunting figure, a loner, on a spellbinding journey toward the mysterious Dark Tower, in a desolate world which frighteningly echoes our own. On his quest, Roland begins a friendship with a kid from New York named Jake, encounters an alluring woman and faces an agonising choice between damnation and salvation as he pursues the Man in Black. I enjoyed the book though it is definitely not King’s finest piece of literature, I also understand that he wrote this when he was young and overly influenced by other people (which is evident at times, it does not have the same flow and rhythm that is typical of King). I liked the world that he wrought, though it was exceptionally confusing at times. I found this to be exacerbated by the fact that King did not offer up an awful lot of explanations to the world as he moved along. It was annoying at times but no deal breaker, but also helped lend to the mystery that is sprawled across the pages. Roland Deschain’s history, the little bit one can ascertain, was rather interesting, and it was nice to read. I am interested to see where the story leads, and thought that it was an interesting concept that King played with. I believe that there were quite a few changes that came about in the revised edition and went to look at what they were and I think that all the changes contributed very well for what was to come. The tale so far is epic, though as a first novel in a series there were other ways to have fleshed it out and made it more comprehensive. I am just happy to finally have gotten to this as I have been threatening for years to check out the Dark Tower series. SPOILERS: The line that Jake uttered before dropping was amazing. “Go then. There are other worlds than these.” Goosebumps every time I think back on it. 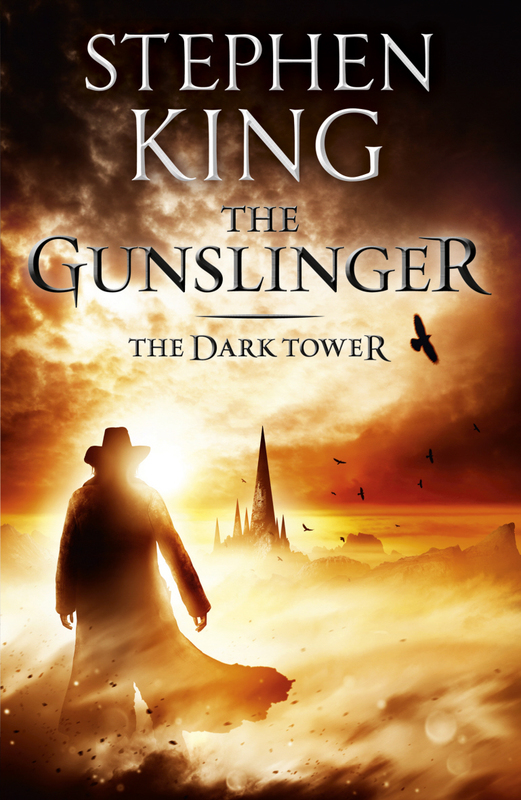 This entry was posted in Books and tagged book reviews, books, Dark Tower Series, Jake Chambers, Roland Deschain, Stephen King, The Gunslinger, The Man In Black. Bookmark the permalink. This doesn’t really sound like my type of thing – good stuff though!! Thank you for stopping by and commenting. I really appreciate. From what I know about you, I agree that this may not necessarily be your thing, but either way, I like how you take the time to check it out anyway. I love your blog and check it out every morning as soon as I can. Please keep it up 4EVER. I am honoured to hear that! I can say the feeling is mutual. Every afternoon right after lunch I know your post has gone up and I will have my daily entertainment. I will do what I can, and I hope you do to. You just made my day and I will certainly do what I can. Now that I have my ESSENTIAL reading done, I am off to go look at some other things while I eat my breakfast. The series gets better especially in the next 2 books, Drawing of Three and The Wastelands. Thanks! You might really have to change that hahaha!